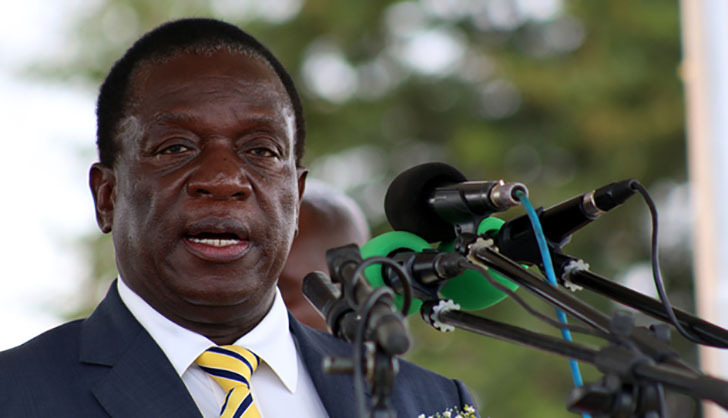 PRESIDENT Emmerson Mnangagwa used his Executive powers to refuse Hwange Colliery a renewal licence for the Western area concession, Mines minister Winston Chitando told Parliament yesterday, a claim which businessman Billy Rautenbach last week said was not his. The concession, which measures more than 10 000 hectares, was among the three that the Colliery was granted by government in 2015, along with Lubimbi East and West, with an estimated resource of 750 million tonnes of mainly coking and thermal coal. The resources are expected to prolong its lifespan by 50 to 70 years. "There were four grants whose licences were to be renewed and clearly Hwange did not qualify for renewal of any of these licences," Chitando told the Parliamentary Portfolio Committee on Mines. "A company called Localise Mining was then successful and given the Western area grant and they paid $100 000 to secure it and subsequently the letters of authority were signed by the former Mines minister Walter Chidakwa. "Section 301 of the Mines and Minerals Act says all mining renewals are taken to the President, who does the renewals, and for the Western area, the President declined to sanction the grant to Hwange Colliery." The chairperson of the Hwange Scheme, Andrew Lawson, last week told the same committee that businessman Rautenbach had claimed ownership of the concession. "You are giving the same Rautenbach another concession when he sold one concession, Tidal, to a Kazakhstan businessman for $4 billion and never mined there? Billy now owns everything in Zimbabwe when blacks are suffering," committee chair Temba Mliswa said. On Shepherd Tundiya, who was said to be calling the shots at Hwange and giving orders to the board, Chitando denied any relationship with him. "I only met Tundiya once at a rally in Hwange and he did come to my office with Juliana Muskwe (acting Hwange Colliery board chairperson) to speak about issues of Hwange Colliery as a stakeholder. So, Tundiya has no mandate to give instructions to the Hwange board on behalf of anyone," Chitando said. He said he placed the Colliery under administration because the miner owed government $150 million and had made a loss of $23 million in the first six months of the year. Chitando said Hwange also owed $42 million to Portuguese conglomerate Mota-Engil, which was contracted to mine coal on a five-year contract in 2014. Hwange Colliery company secretary Allen Masiya then told the committee that the $6,4 million, which was ring-fenced for developing the Western area concession had been misused by management without board approval, adding that when they were about to report the case to the police, they were then harassed by Tundiya. A forensic audit on the $6,4 million is currently underway. Masiya also told the committee that the manner in which Chitando placed Hwange under administration was unlawful. The Zimbabwe Stock Exchange (ZSE) acting chief executive Martin Matanda told the committee that Chitando was supposed to meet other shareholders before putting it under reconstruction since it is a listed company on the ZSE, Johannesburg and London stock exchanges. He said government's illegal move will drastically affect investment into the country.